I know I'm not in the minority, but I cherish this document. I've known the album and VHS since I was a kid, and bought the DVD 10 years ago or whenever it came out. To me, that quote at the beginning definitely rings true. For all that Altamont wasn't, I feel the Rock And Roll Circus was. Such stunning performances as well as just the most joyous atmosphere you can ask for. Truly diverse with early Jethro Tull before anyone knew who they were (with pre Sabbath Tony Iommi on fake guitar), Taj Mahal, Marianne Faithful in arguably her peak and prime. She was still innocent and not totally lost to the drugs it seemed and I love that wonderful song. You can hear the fear in her voice, but boy is she a beauty to behold. Kinda sad that she went downhill soon after this. Then you have The Who who in a truly pivotal move steal the entire show, away from the Stones who also give a tremendous performance. But The Who come out, fresh off a tour, and blow the roof off the play with the definitive version of A Quick One While He's Away IMO. The second that guitar starts after the acapella intro, they launch into being literally the definition of the Who and I'm so happy we have it on film cause its truly spectacular and should always be mentioned in their bio. Every single one of them was at their peak. Daltrey right when he developed his signature look, Townshend in full windmill mode, Keith Moon actually breaking his drum set (god I miss that man). Incredible. Then there's the Stones, who are equally fantastic and unfortunately overlooked. Brian before he died, a killer Jumpin Jack Flash, fantastic versions of brand new Beggars songs (Parachute Woman and No Expectations! ), a never before heard You Can't Always Get What You Want! And to me, the definitive version of Sympathy. I know many prefer the Ya Yas and other 70s versions but this was the one I grew up on and the only one that even gets close to the studio version. And Mick just goes absolutely wild during this performance. 9 minutes of pure bliss. IMO that performance is in the top 5 best moments in Stones history. All that packed in one hour long concert. Just phenomenal. Silly costumes, prime silliness with Jagger and Lennon. And now just realizing I've completely forgotten the Dirty Mac! Lennon, Richards, Clapton, Mitchell, are you @#$%& kidding me?! Incredible. All capped off with a wonderfully sweet Salt Of The Earth, which again I contend is the personification of the antithesis of Altamont. That DVD is up there with Concert For Bangladesh for me in shaping my youth. As a filmmaker, I know every shot of those concert videos. Edited 1 time(s). Last edit at 2018-02-09 00:38 by RollingFreak. Very nice write-up. Thanks for posting it. Always a fun thing to revisit. Love the interaction between Lennon and Jagger -- only a contemporary of Mick's could get away with talking to him like that! 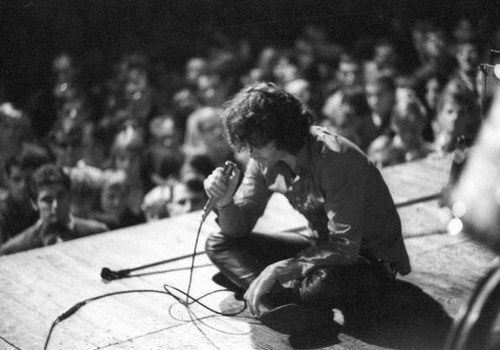 His performance during You Can't Always that he was doing at the time (also on the David Frost Show earlier that year) shows the brief influence Jim Morrison had on him as a performer. I rarely watch it because it's just awful to see Brian like that. I literally thought while watching it that this is when Jagger really became Jagger. Before this it was all the James Brown stuff and this is that bridge between that and Ya Yas where he really came into his own and IMO became the Jagger we all know and love. But was trying to think back to Ed Sullivan and see if he was like that then and he really wasn't. And in that thinking I thought "yeah, he wasn't like Jim Morrison who first appearance on Ed Sullivan with Light My Fire WAS that Jim Morrison." Dovetailing into this being his "Jim Morrison" coming out almost in my mind haha. Definitely noticed that similarity too for the first time. 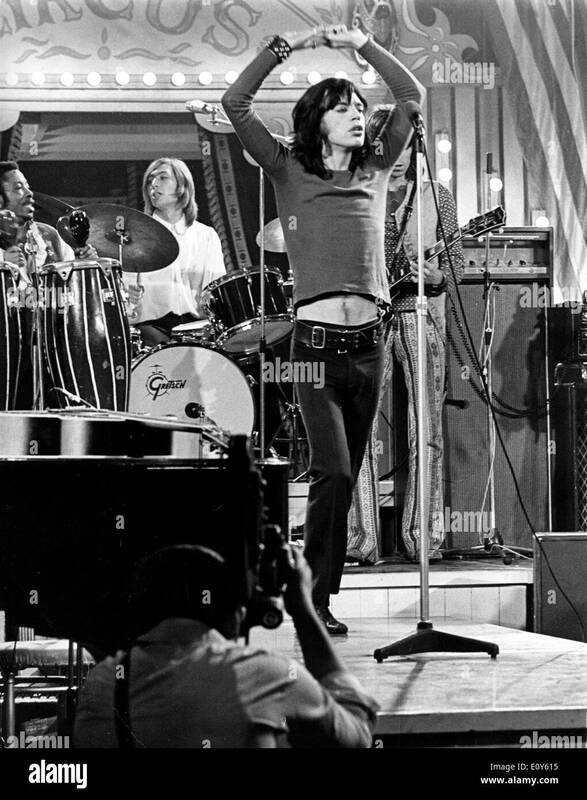 In 1968, it seems to me that Jagger was, performancewise, in a state of transition, away from the more standard pop singer, who has his James Brown moves but still remains fixed at center stage around his mic stand. I think he more came into his own on the 1969 tour, the "man of a thousand costumes concert showman" -- just as Keith was transitioning around the same time. In earlier days Keith wasn't really much of a presence, just a somewhat goofy George Harrison type of mop top, but with a few more herky-jerky moves. But going into the 1969 tour, he seemed to have "absorbed" the spirit of Brian Jones, to become that eternal "elegantly wasted" rock star presence he has been known for since. But what strikes me as a Jim Morrison type of influence for Rock and Roll Circus -- the way he gets down on all fours to peel off his shirt to display those fake tattoos -- is the theatricality of it. He wasn't seen to have done that before, and he hasn't since. Because no front men of rock bands behaved that way on stage before Morrison. Yes, there are some great performances, but you can see why Jagger didn't want it out. Sure the Who & Dirty Mac were great, but the Stones have a tripped out,lost looking member, who we don't even know if he was plugged in half the time. Of course, just like Beggars Banquet, he lifts from the fog and delivers his beautiful coda slide on 'No Expectations'. This is the Stones as power trio with singer. This is where the rhythm section tightened while Brian hung off to the side like a useless appendage. It's not quite the revelation they would become with Brian finally gone, and Mick Taylor on board, but it is the team stripped down to its rawest part. I love the show but I agree about the sorrowness and Brian. Mixed feelings but still a great document. They played very well. Brian too on NE. Somehow a fitting end to an era. My favourite live version of JJF. PW is perfection! Edited 1 time(s). Last edit at 2018-02-09 19:54 by DandelionPowderman. yeah I like JJF alot....but I rarely watch it as the Stones part is pretty average IMO. A lot of it seems forced to me and Brian is nowhere!! My sentiments exactly! Mick is evolving. Keith is taking on the band leader-role. Some of my favourite performances ever on that show. Sad that Brian wasn't more involved, though. He did great on No Expectations. To me the only watchable things the Stones did was YCAGWYW. The rest of weak in my opinion. What can't be appreciated now is that The Rock and Roll Circus was unseen for decades. It grew into a legend. All we had were articles written about what had gone on and still photos of it. I can think of seeing The Kids Are Alright at a theater, and sitting up in my seat when I saw the first clip released from it, beginning with a shot of Keith introducing The Who. When it finally was released, those particulars could be overlooked. But the fact that it was unavailable for so long made it one of the most desired pieces of Stones history that added to their myth. Yes - and after the long wait I wondered what all the fuss was about in not releasing it in the first place. I thought it was great in it's entirety, with my favorite part being the Dirty Mac segment. Upon it's release, I managed to get a large advertisement poster at the local record store which I still cherish to this day (even though it's in tube in storage lol). Interesting Jim Morrison comparison. Related to that, sound-wise, the R N R version of Parachute Woman has always sounded Doors-esque to me. The Stone's set is underrated. As a performer, Mick Jagger may have felt insecure about it and thought that the Who blew them off the stage, but as an observer I think their part holds up just fine. Edited 1 time(s). Last edit at 2018-02-09 19:24 by ryanpow. Always forgotten is historical context. The Stones went on last and everyone was tired, and probably been partying the whole time. It affected their performance. They made the same mistake for Saturday Night Live a decade later. They partied all week, had great rehearsals, and then Jagger had no voice and the band was wobbly, in a bad way, on Saturday night. Indeed The Who were superior. 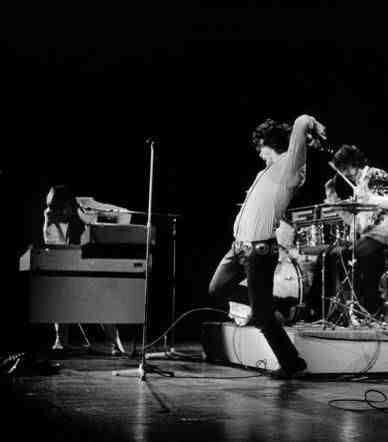 However, all things considered The Stones (Mick in particular) were great in their own way. I'm so happy it was decided to release this because ego set aside it is a very important historical event in Rock And Roll history. Across the whole there is a great vibe and that is more important than The Stones being larger/greater than anyone else. My opinion. Say what you want about Pete, but the man can still play guitar and when they want to, The Who, then and now, can blow anyone away. Circus, the 2001 NY concert, their show in 2000 from Royal Albert Hall is absolutely fire, Desert Trip. Both were great at the Circus. But yes, The Who did in one 9 minute song what few have ever been able to do ever at that show. Its an incredible performance. And I adore the Stones there. I don't understand the praise for the Dirty Mac. Is it because its a supergroup? Eric Clapton looks and acts wasted and fails to give a classic guitar solo in either of the numbers. And I don't buy into Yoko's "Art" (Maybe you had to be there? ), but she ruins an otherwise decent blues jam. the best part of the film is when they are jamming and Yoko screams over it.....kinda reminds me of Lisa singing gimme shelter in 2013 washington d.c.
Lol...yes it does sound similar. As for Yer Blues live - it's great! One of the heaviest Beatles tunes played in a live setting by some of the greatest musicians of the day - what's not to like?!!! John Lennon hadn't performed live since the Beatles stopped touring, and it was the first time he performed publicly without any of the other Beatles since they formed. Clapton on guitar, Mitch Mitchell on drums, and Keith on bass - incredible!!! I think had the Who NOt been there, or been weak, the Stones might have seen their segment as stronger. It is also hard for any viewer to watch it unbiased, knowing Jagger's trepidation about their part. Personally I have always loved the whole thing. 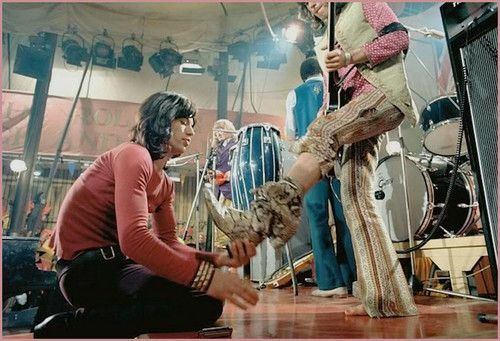 Keith's rank boots, Jagger's belt and shirt.But more than that I love how one can just taste and smell the late 60's London Swing. That silly circus ring when they march in with the ra-ta-tah; and Jagger as Master of ceremonies; Keith saying "Dig the Who"; early Jethro Tull in that overcoat; Lennon eating some Macrobiotics, maybe from a local Hare Krsna temple. I can totally 'Be there'. i watched the who performance on the rock and roll circus last night for the first time, and for anyone to say they blew the stones of stage is a joke, not sure which song i heard but it was embarasingly poor, was more a serious of short songs with different tunes and no real direction. as for the stones, they done alright, no expectetion and jj flash were excellent.